Sometimes when you plug your portable music player into the aux input on your car receiver, but there is an annoying whine along with the music. SNI-1/3.5 preamp noise filter plugs in between your receiver auxiliary input and your portable music player to help reduce noise caused by a ground loop. 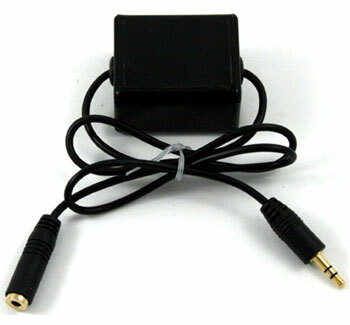 The filter includes a female 3.5mm input, a male 3.5mm output, and 10 inches of cable for each jack.